If you are selling a real estate property in Oregon, you can assist the buyer by carrying part or all of the purchase price with this Contract for Deed (or purchase money mortgage). 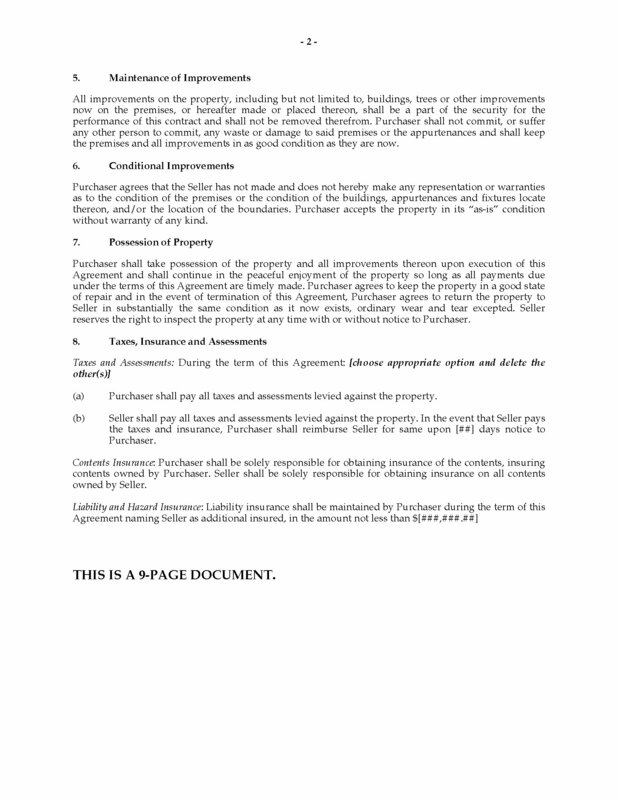 Under the terms of this Contract, the seller effectively becomes the mortgage lender for the balance of the purchase money. 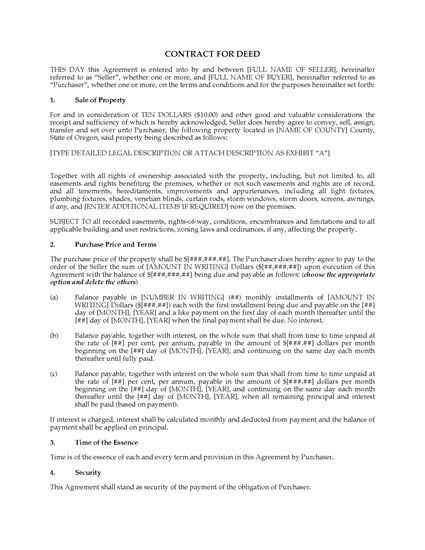 Title will transfer to the buyer once payment in full of all principal and interest has been received by the seller. 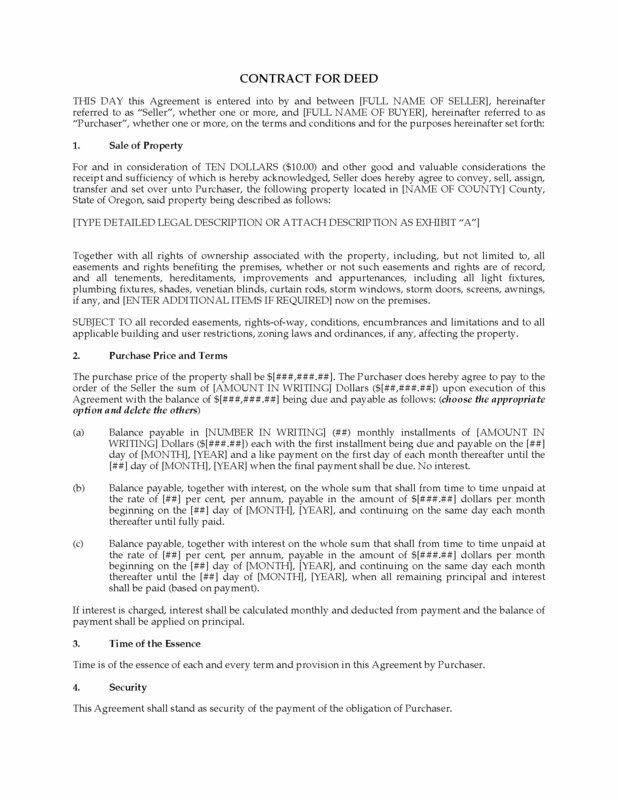 The seller has the right to take back the property if the buyer defaults in payment. At the seller's option, the balance can be repaid by monthly payments with or without interest until paid, or monthly payments with interest for a fixed number of payments with a balloon payment at the end to pay out the balance. This Oregon Contract for Deed form is in MS Word format, and is fully editable to fit your exact circumstances.